What is the Higgs Boson? Where did life come from? And what are you looking at when you're looking at Modern Art? Put your knowledge to the test - and learn to think and talk like a genius. 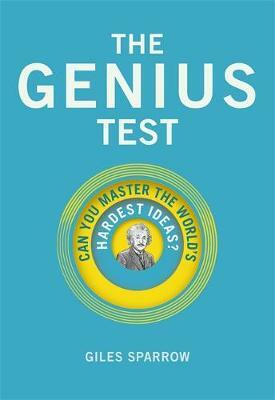 The Genius Test takes you on a journey through humanity's most brain-bending ideas, from the big bang and the origins of life to chaos theory, existentialism and special relativity, challenging you to understand and providing the tools to help you master the big ideas. The Hard Problem of consciousness; the human genome; Evo-devo; the human brain; A.I. ; Fermat's Last Theorem; the Riemann Hypothesis; Goedel's Theorem of Incompleteness; Post-modernism; Modern architecture; Keynesianism; Semiotics and Structuralism; Schroedinger's cat; DNA; Deconstructivism; the mind-body problem; Superstrings; Quantum Theory; The Big Bang; black holes...and many more.